Blessings from Jerusalem incorporates the ideal of tradition. 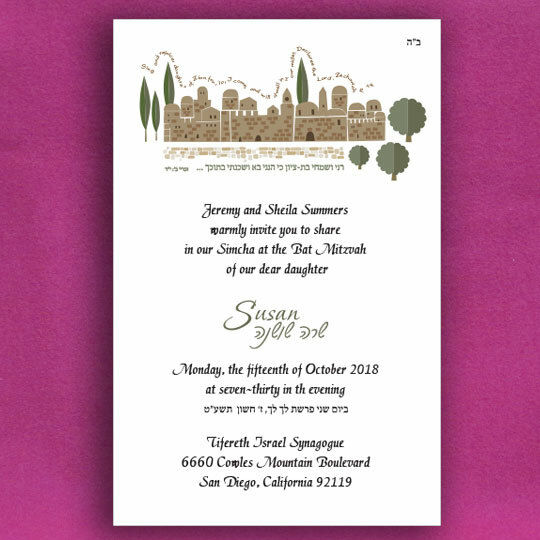 A truly heartwarming choice for your bat mitzvah invitations. 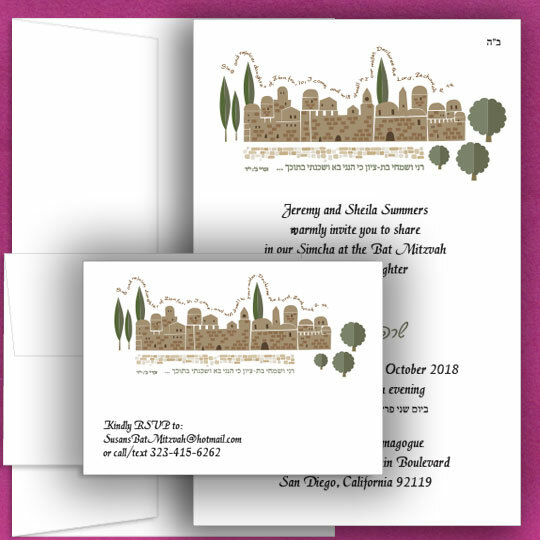 *All color prints are subject to slight imperfections as are inherent in the nature of short run digital printing.